It is incredible the way music can make you feel. It can help you remember the good times, remind you of the bad ones, keep your mind peaceful, or be a way for you to express your emotions. As a mother of special needs children, I know the amazing impact that music can have on a child’s development. From the age of 5, I’ve always loved my music. My parents would sing karaoke with me and it was the first talent that I knew I had. It was fun and it made me feel happy. One of my best childhood memories was singing for my relatives and feeling a sense of pride within myself. To me, music touches you. When you hear a song, you interpret it in your own way and it causes you to feel a certain way. That, I believe, is the power of music. For my two oldest children, music even helps them with their speech delays. Music makes learning more fun and encourages them to make sounds and say words they otherwise wouldn’t have. And one band that my children enjoy are The Wiggles. 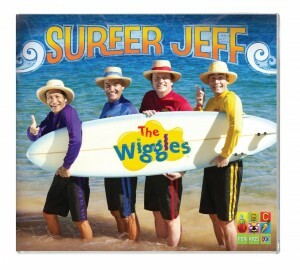 They recently began listening to their latest CD “Surfer Jeff”. The songs marked the return of the original Yellow Wiggle, Greg. And I’m not surprised that my kids loved it. It got them on their feet; they were dancing and singing along. As my kids are big fans of The Wiggles, it was a great CD for them enjoy. And I believe that the strength and enthusiasm in the band’s voices is what has earned them so much success over the years. It’s amazing how different types of songs can even influence a child’s development. I can vividly recall Alisha coming home from Kindergarten singing songs about numbers, the alphabet and nursery rhymes; her face full of excitement. But little did she know, she was learning about things that would be useful for her life. That’s why I think advocating music for children is so important. Learning shouldn’t have to be so serious; it should be FUN for children. The power of music can bring back memories, take you back to when you first heard a song, or give you a chance to reflect upon your own feelings. These are only a FEW of the things that it can do. I think when music is able to touch people in so many different ways, it has definitely fulfilled its purpose. And therein lies, the power of music.